Reveal journalists teamed up with The International Consortium of Investigative Journalists for a new bombshell. Donald Trump gestures toward investor Wilbur Ross in November 2016. 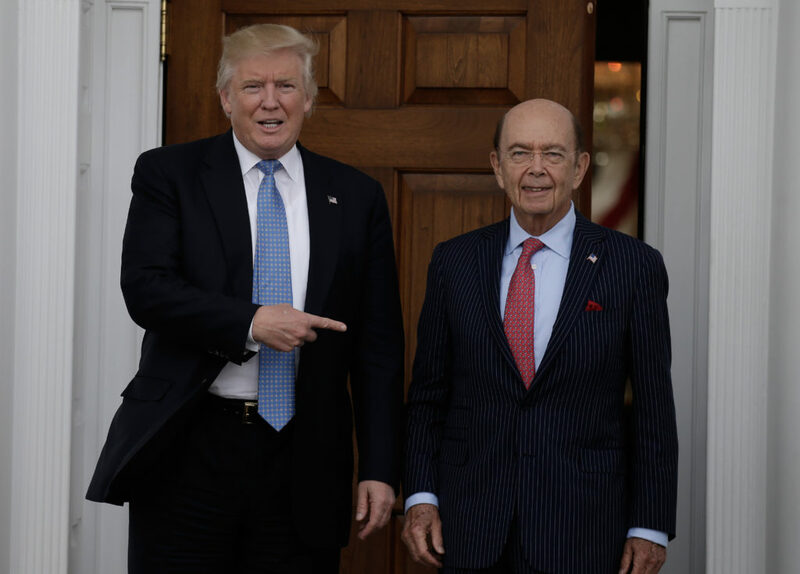 Once taking office, President Trump named Ross his commerce secretary. ICIJ and 95 media partners, including Reveal, explored 13.4 million leaked files from a combination of leaked files of offshore law firms and the company registries in some of the world’s most secretive countries. The leaked cache of documents includes more than half a million files from Asiaciti Trust, a family-run offshore specialist that is headquartered in Singapore and has satellite offices from Samoa in the South Pacific to Nevis in the Caribbean. Taken as a whole, the leaks reveal offshore traces of spy planes purchased by the United Arab Emirates, the Barbados explosives company of a Canadian engineer who tried to build a “super gun” for Iraqi dictator Saddam Hussein and the Bermuda company of the late Marcial Maciel Degollado, the influential Mexican priest and founder of the Catholic religious order the Legionaries of Christ, and whose legacy was marred by allegations of child sexual abuse. 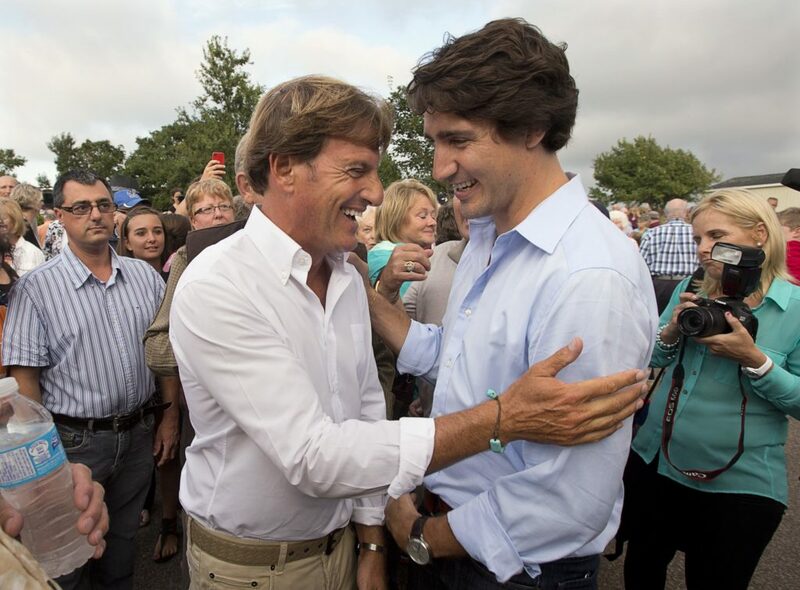 Canada’s Justin Trudeau embraces Liberal Party chief fundraiser Stephen Bronfman on Prince Edward Island in 2013. Republican and Democratic donors alike appear in offshore records, including Randal Quarles, a GOP-leaning donor and the new Wall Street watchdog at the Federal Reserve. Quarles was an officer of two Cayman Island companies, including one that was involved in a loan deal with a Bermudan bank, N.T. Butterfield & Son. Until recently, Quarles held an indirect interest in the bank, which is under investigation by U.S. authorities for possible tax evasion by its American account holders. Private equity funds controlled by Democratic mega-donor George Soros, a hedge fund billionaire, use Appleby to help manage a web of offshore entities, including an investment in one company engaged in reinsurance, or insurance for insurers. His charitable organization, the Open Society Foundations, is a donor to ICIJ. One of Appleby’s top corporate clients was Glencore PLC, the world’s largest commodity trader. The files contain decades of deals, emails and multimillion-dollar loans to bankroll ventures in Russia, Latin America, Africa and Australia. This story was reported and written by: Will Fitzgibbon, Michael Hudson, Marina Walker Guevara, Scilla Alecci, Richard H.P. Sia, Gerard Ryle, Emilia Diaz-Struck, Martha Hamilton, Simon Bowers, Hamish Boland-Rudder, Sasha Chavkin, Spencer Woodman, Ryan Chittum, Rigoberto Carvajal, Matt Caruana-Galizia, Cecile S. Gallego, Pierre Romera, Julien Martin, Dean Starkman, Tom Stites, Manuel Villa, Amy Wilson-Chapman, Miguel Fiandor Gutiérrez, Yacouba Ladji Bama, Delphine Reuter, Mar Cabra, Petra Blum, Harvey Cashore, Tabu Butagira, Frederik Obermaier, Bastian Obermayer, Vanessa Wormer, Šarūnas Černiauskas, Hilary Osborne, Frédéric Zalac, Oliver Zihlmann. Listen Reveal journalists teamed up with The International Consortium of Investigative Journalists for a new bombshell.